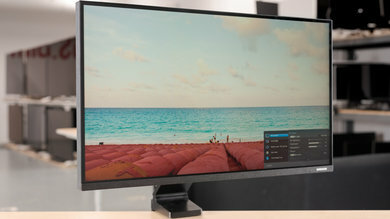 The Samsung C34J791 is a 34'' ultrawide monitor with mediocre picture quality. It has a high contrast ratio due to its VA panel and displays deep but not too uniform blacks. 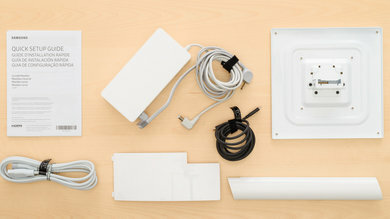 It is more suitable for an average lit room as it cannot get very bright to fight bright room glare. It has great gray uniformity, which is great for browsing the web, but the bad viewing angles make it unsuitable for working side by side with a colleague. It has great motion handling with a fast 100Hz refresh rate, supports FreeSync and has a low input lag to please gamers. 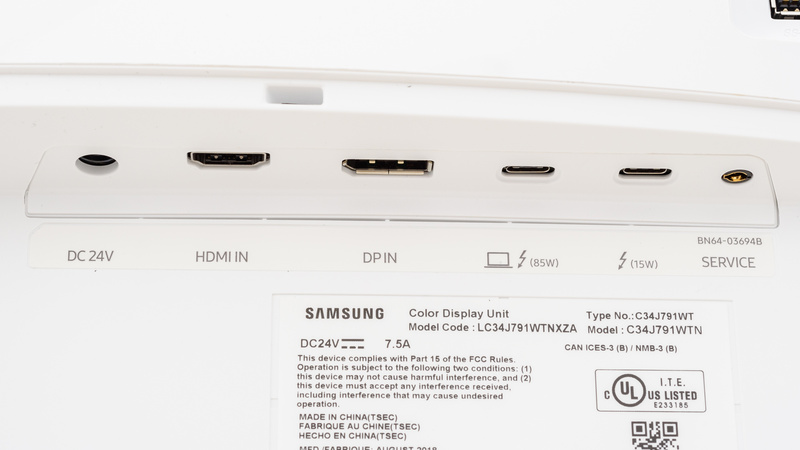 This is a newer version of the Samsung CF791. The design of the Samsung CJ791 is very good. 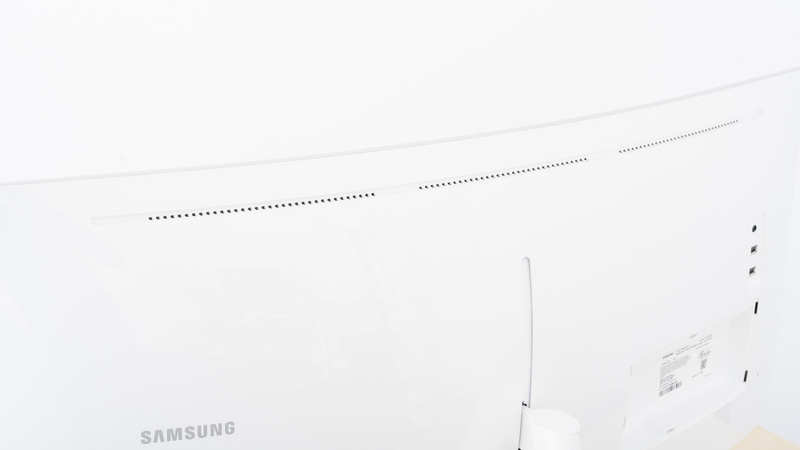 It is identical to the design of the Samsung CF791. It has the same flat round stand that supports the monitor well and prevents serious wobbling. You can adjust the height and tilt, but you cannot swivel or rotate the screen and this will disappoint those who regularly share their work with a colleague. 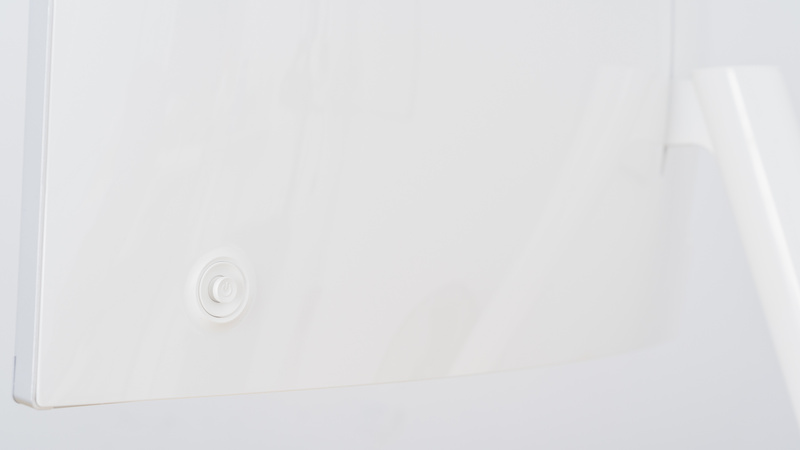 Due to the curve profile, it looks slightly thick, and finally, the overall build quality is very good and you should have no issues with it. 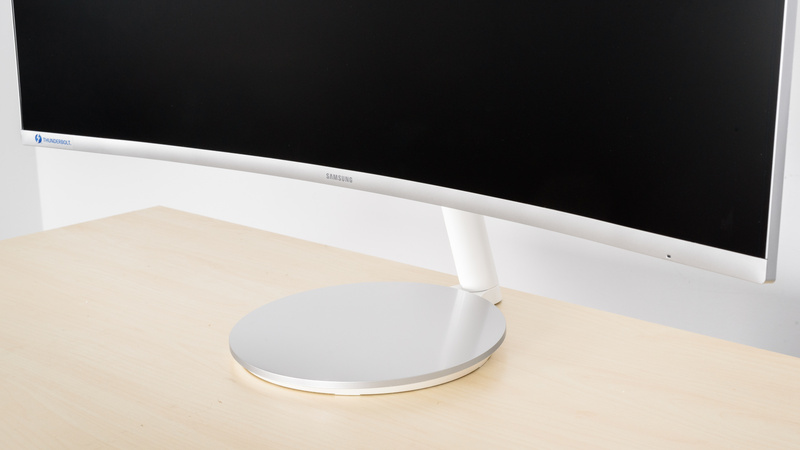 The stand of the Samsung C34J791 is round and flat. It supports the monitor well and only allows minimal wobbling. 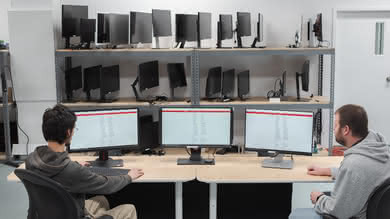 The ergonomics of the monitor are poor. You will not have an easy task adjusting it to a comfortable position. 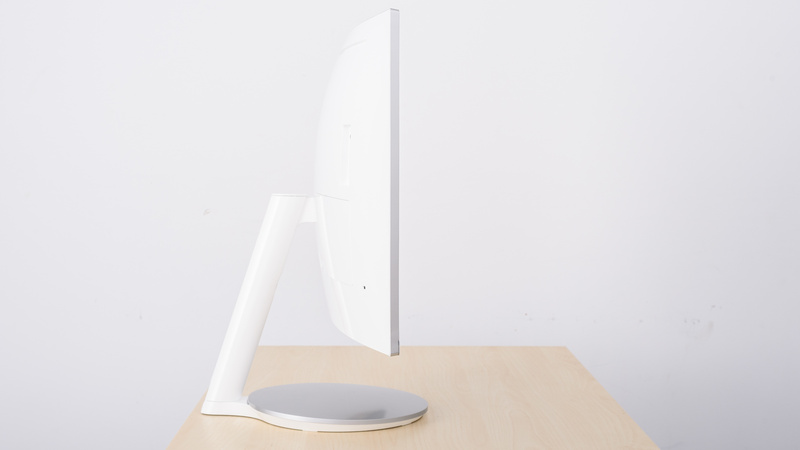 You can adjust the height and tilt the screen, but you cannot swivel or rotate it to portrait. 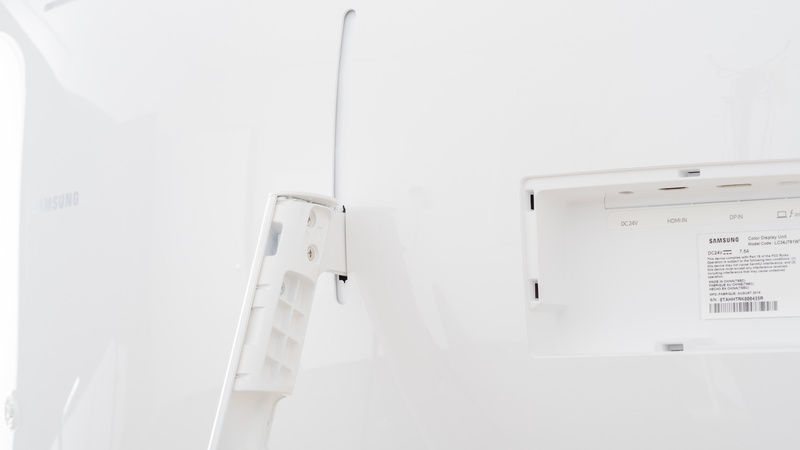 The back of the monitor is plain and it looks identical to the back of CF791. 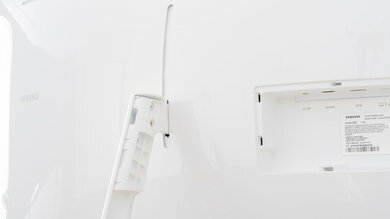 It has a compartment (that comes with a cover) that houses most of the inputs. 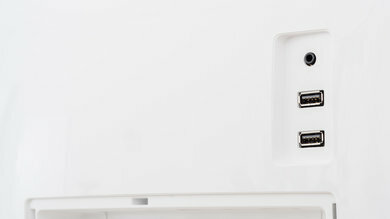 Outside this compartment, there are two USB ports and a headphones jack that are pointing outward. Just like the CF791, the CJ791can be VESA mounted in either 100x100 or 200x200 VESA wall mounts using the included adapter. 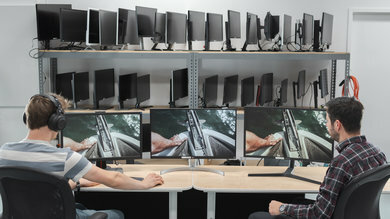 The monitor offers cable management through the stand. The borders are thin and look elegant. They are metal and have a chrome finish just like the CF791. In the image, they look more white due to the camera flash. 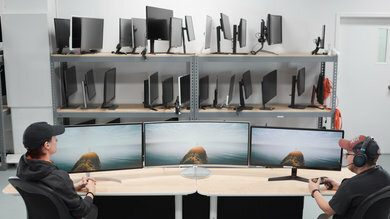 The monitor is thick, especially when placed on its stand. 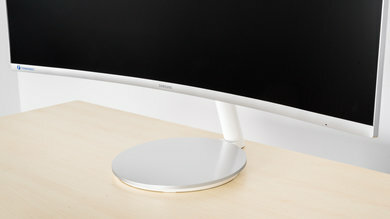 If you VESA mount it, it will not protrude much but it will not look very thin either due to the curve. The Samsung C34J791 has a very good built quality. You will not find any gaps or loose ends and you should not have any issues with it. The Samsung C34J791 has a mediocre picture quality. 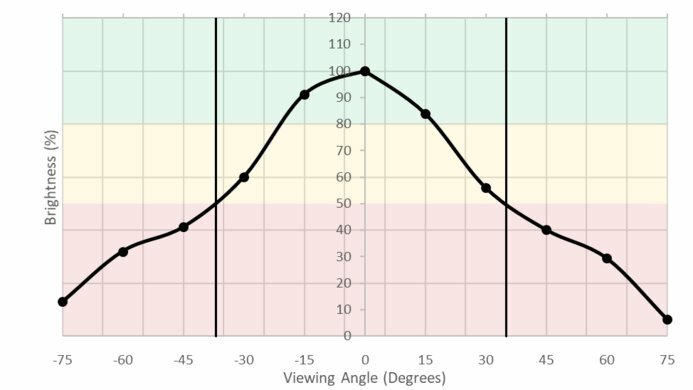 Although it has a high native contrast ratio, its performance in a dark room is hurt by the poor black uniformity and the lack of local dimming. 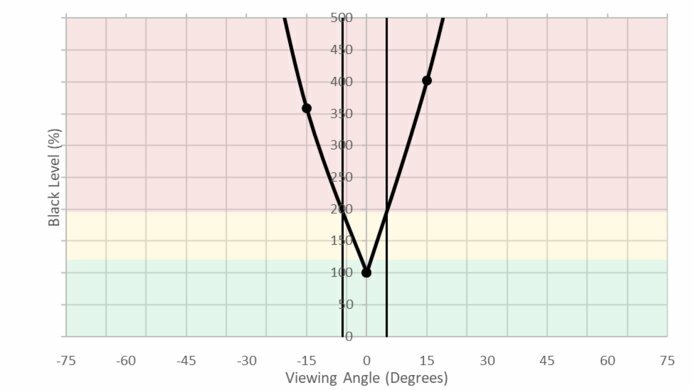 It cannot get very bright to fight the glare of a bright room and its viewing angles are bad. 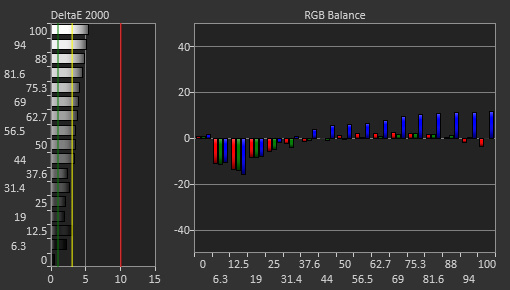 On the positive side, the monitor has great gray uniformity and can display a rich palette of colors in SDR and in various luminance levels. It does not support HDR. 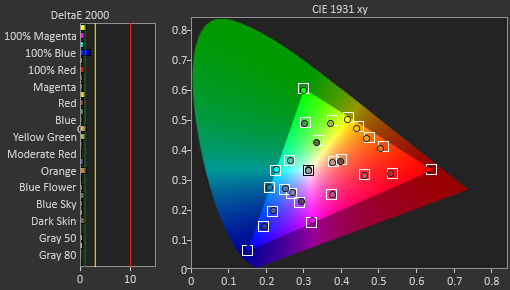 Just like the CF791 the Samsung C34J791 has a very good native contrast ratio due to its VA panel. Blacks look deep in a dark room and this improves picture quality. The Samsung CJ791 does not have a local dimming feature. The video is for reference only. The CJ791 has decent SDR peak brightness. It is ok for an average lit room but it cannot overcome the glare of a bright room. The level of brightness remains constant across the various bright window sizes and this is great. The SDR Real Scene measurement appears a little higher due to uniformity issues at the position of the screen where the measurement is made. The tests were done using the 'Custom' (calibrated) Picture Mode. Poor horizontal viewing angles as expected for a VA panel monitor. 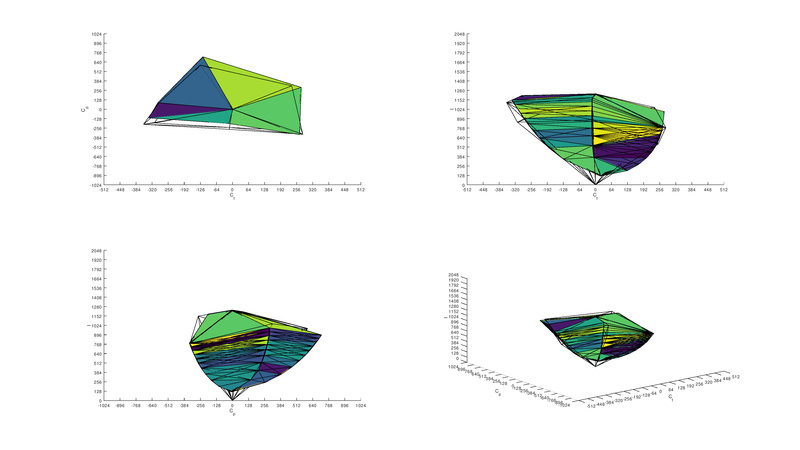 As soon as you deviate from the center axis, the image darkens and is no longer accurate. This is not good if you need to share your screen with a colleague. 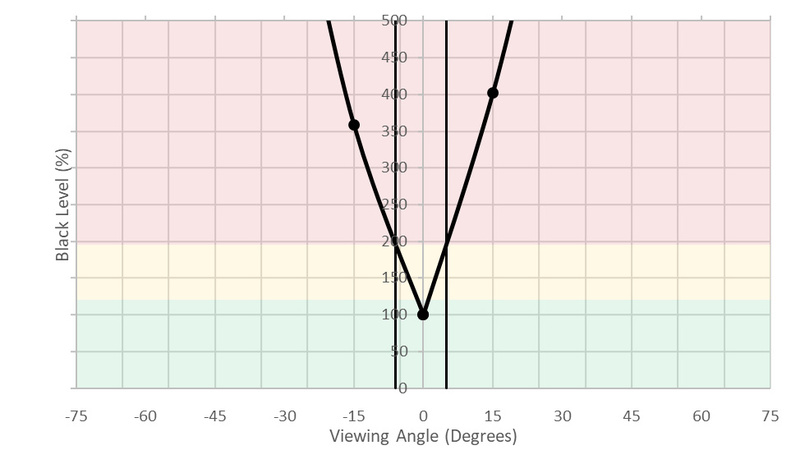 The vertical viewing angles are poor. Anyone standing next to you will see a much darker image than what you are seeing. In order for them to see the same image quality, they have to bring their head to where yours is. The gray uniformity of the CJ791 is great. 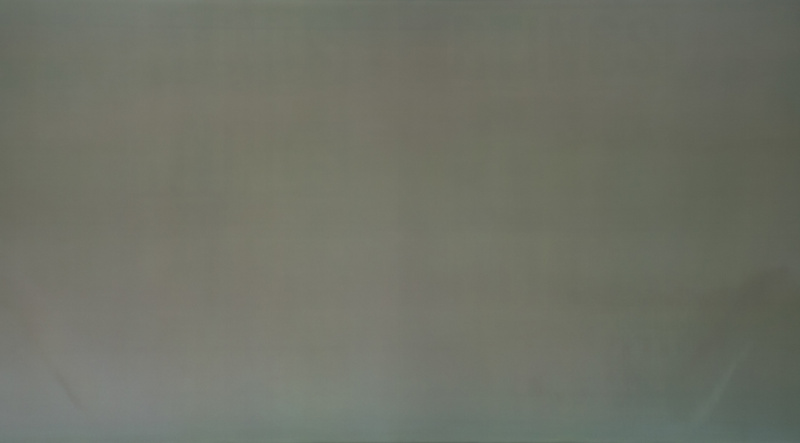 In the 50% gray image, you can spot some clouding and the sides look darker. However, there is almost no dirty screen effect (DSE) and this great news if you spend a lot of time surfing the web. 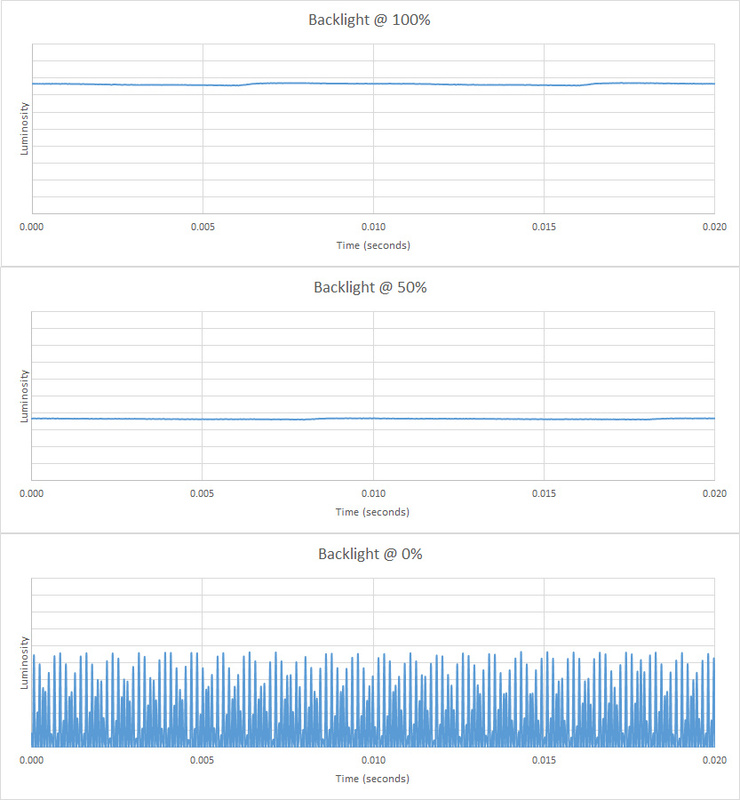 In the 5% gray image the uniformity is better and no DSE is noticeable. Poor black uniformity for the Samsung CJ791. 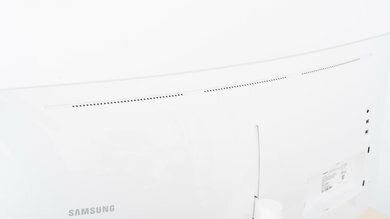 Just like the Samsung CF791 there is scattered clouding in various areas of the screen that most people will notice when viewing dark scenes in a dark room. The out-of-the-box color accuracy of the Samsung C34J791 is decent. The Picture mode with the best results is 'Custom'. 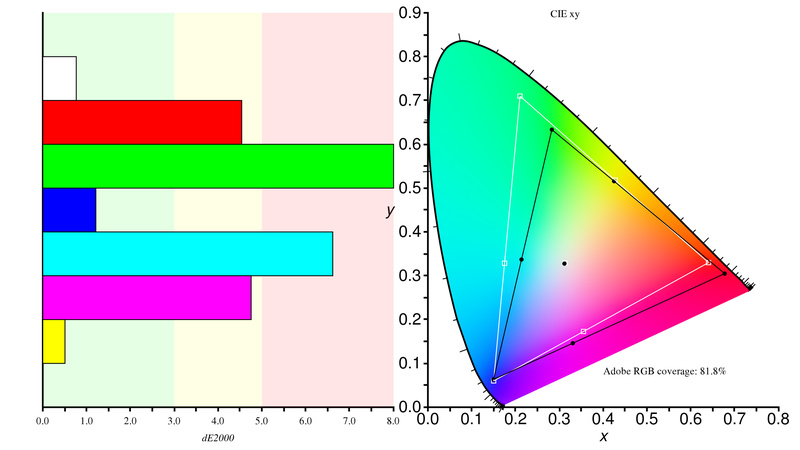 Both the white balance dE and the color dE are higher than 3, so most enthusiasts will notice some gray and color inaccuracies. 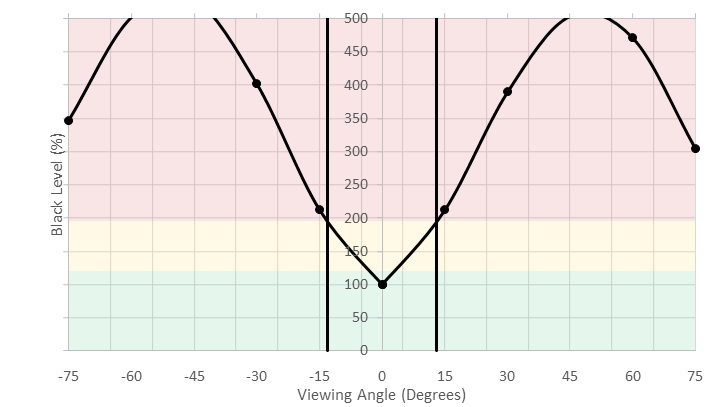 The image has a slight red-yellowish tint due to the slightly warmer color temperature and gamma does not follow closely the target curve resulting in images that are sometimes brighter and sometimes darker than they should be. 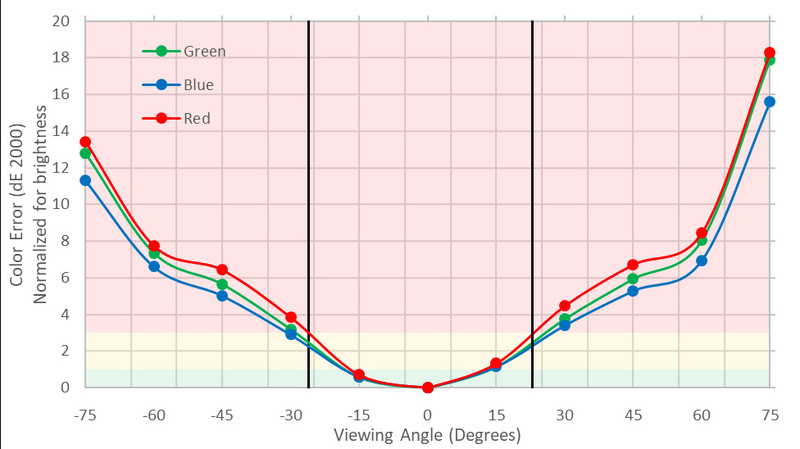 After calibration, the color accuracy is excellent. It is impossible to spot color or gray inaccuracies without the use of a colorimeter as both white balance dE and color dE are well below 1. 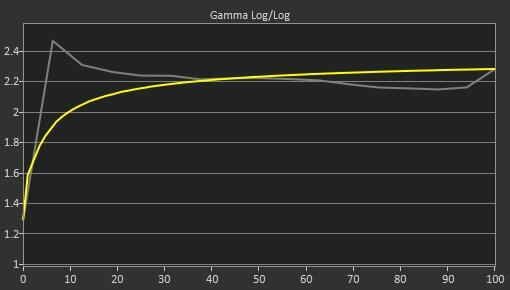 There is no more red-yellowish tint as the color temperature is corrected closer to the 6500K target and the gamma follows the target curve very closely. The Samsung C34J791 has excellent coverage of the s.RGB colorspace. 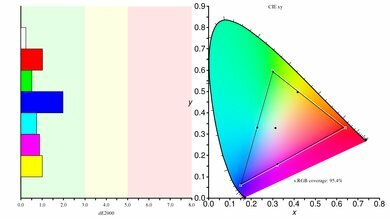 However, the coverage of the wider Adobe RGB colorspace might not be enough for professionals in the media and publishing industry. Excellent coverage of the SDR color volume. 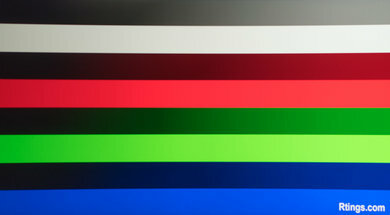 The monitor is capable of displaying a wide range of colors in various luminosity levels. 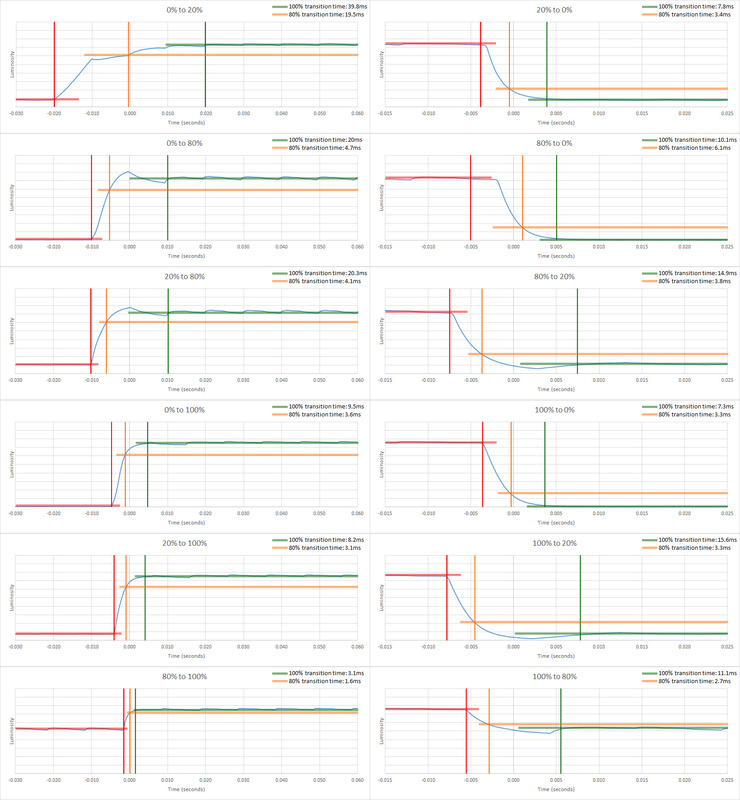 The overall performance of the monitor in image retention is good. 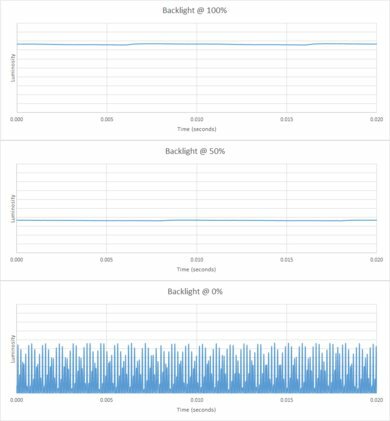 There are some faint signs of image retention immediately after our long exposure test that go away quickly and won't be noticeable in normal content. The Samsung C34J791 has an excellent gradient performance. You can hardly notice any banding, as the transition from light to darker shades happens smoothly in almost all colors. This is an improvement compared to the CF791. The Samsung C34J791 produces a very small amount of color bleed when it displays large vertical bands of uniform colors. However, it is unlikely that you will notice this during normal usage. The Samsung CJ791 has good reflection handling. 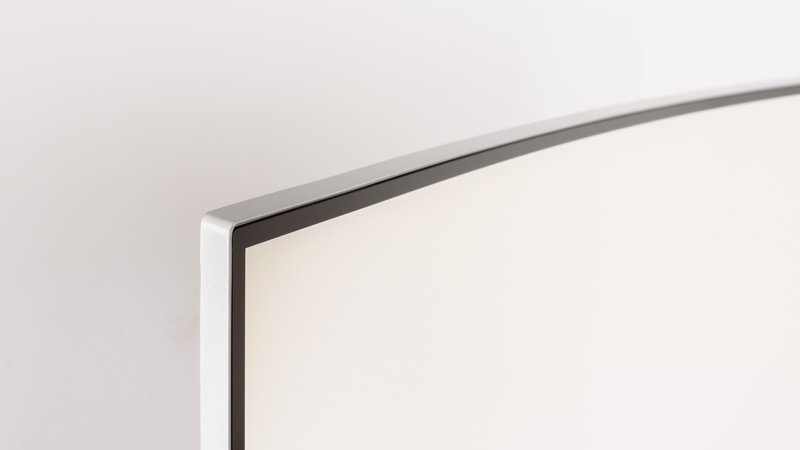 The matte finish diffuses reflections across the screen making them less annoying. However, this does not work very well in a bright room where reflections can become distracting. Great motion handling for the Samsung C34J791. It has a fast pixel response time so fast moving objects are crisp with very little blur trail and there is no visible backlight flicker. 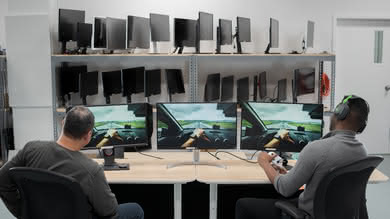 The CJ791 supports the FreeSync implementation of the Variable Refresh Rate. The Response Time 'Fastest' is the recommended setting as it gives the best results. However, in cases where there is a darker background in the image, some blue trail can be seen. If you notice this then switch to the 'Response Time Faster' setting, and this should eliminate the issue. There is no visible backlight flicker. However, at lower brightness levels, the backlight flickers at a frequency of 1260Hz which is very high and it is unlikely that you will notice anything. 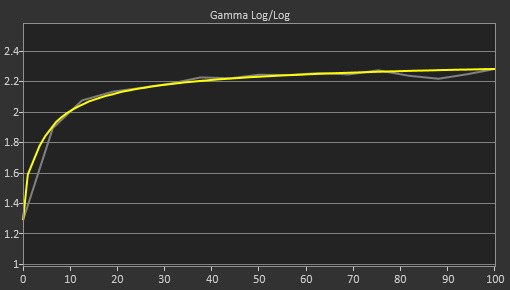 In the PWM score, we note 0 Hz as the flicker frequency is higher than 1000Hz. 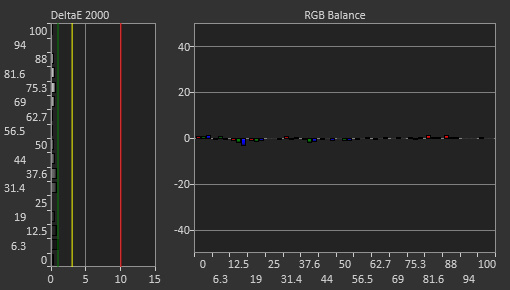 Unfortunately the monitor does not support a Black Frame Insertion (BFI) feature to make the image look crisper. 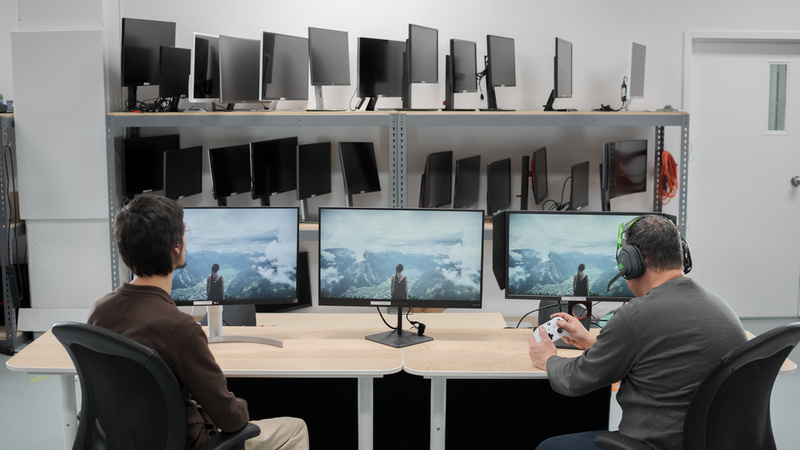 The monitor supports FreeSync in two modes. The 'Standard Engine' with a limited range of 80 to 100Hz and the 'Ultimate Engine' with a range of 20 to 100Hz. This monitor is the newer version of the Samsung CF791 and does not have the compatibility issues we encountered with our GTX1060 graphics card and the CF791 monitor. 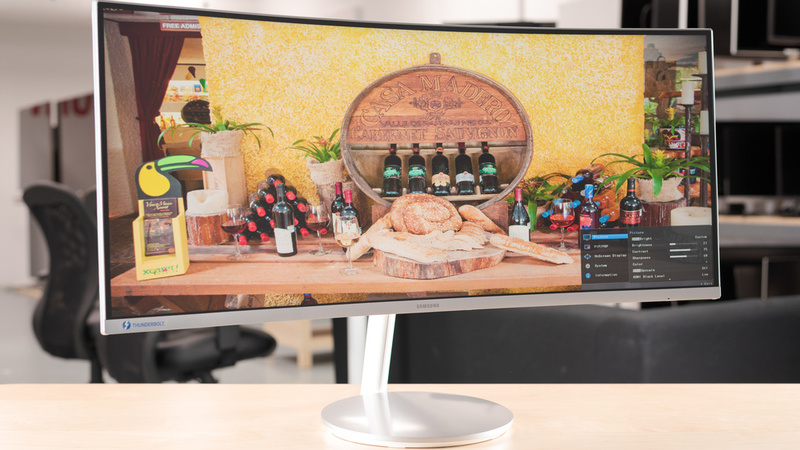 The Samsung C34J791 has an excellent low input lag and a large ultrawide 34'' screen with excellent resolution that favors multitasking. 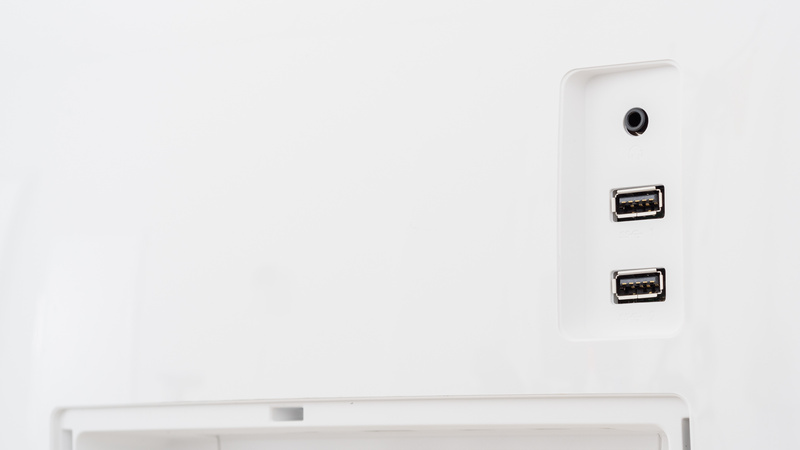 It has two USB-C ports that both support Thunderbolt, although only the one with the 85W sign can be used for charging a Macbook. Excellent low input lag and a great improvement over its predecessor the CF791. 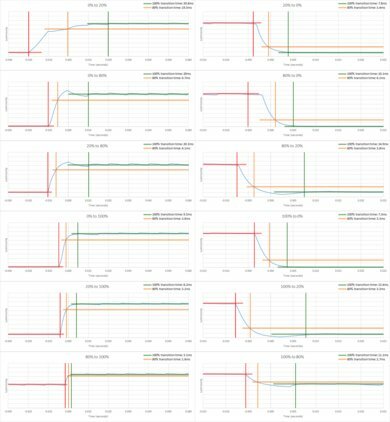 The input lag remains low even at non-native resolutions (we tested ours at 2560x1080@100Hz), or when the monitor is in VRR mode. 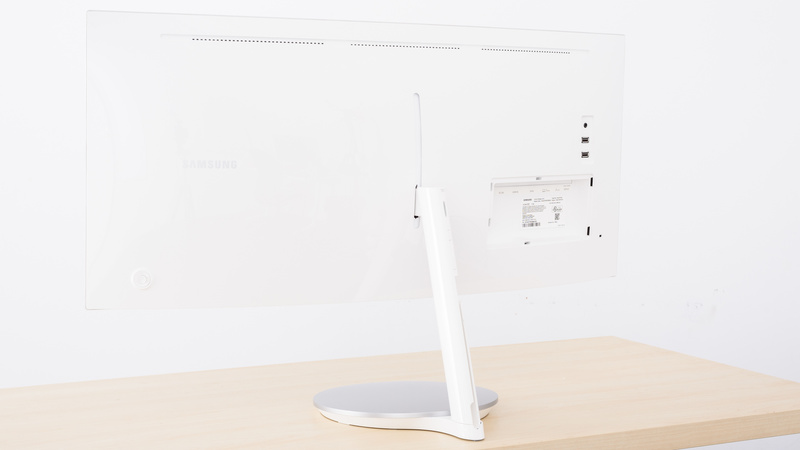 The Samsung C34J791 is a large 34-inch wide aspect ratio monitor. 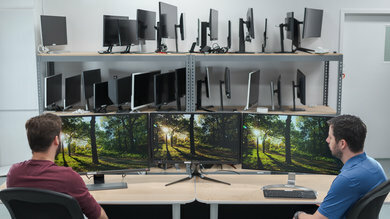 It has a great 3440x1440 resolution that allows you to easily multitask and place several windows side by side. 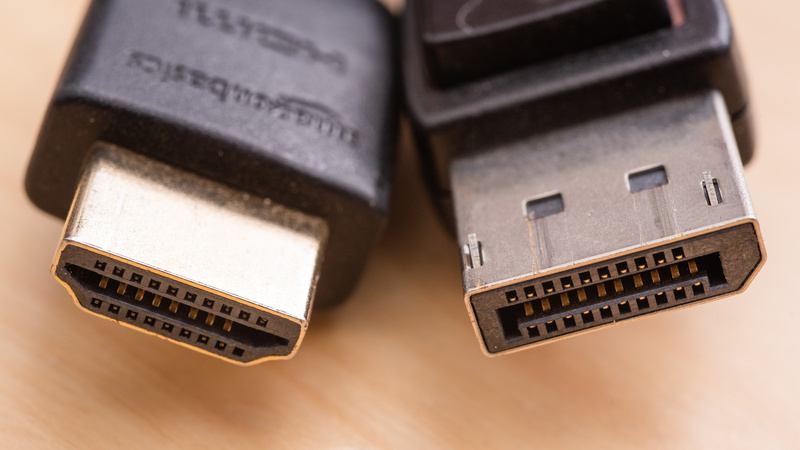 For the two USB 2.0 ports on the back to work, you must have one of the two USB-C serve as a USB hub downstream. The source will also need a USB-C port for the entire setup to work. 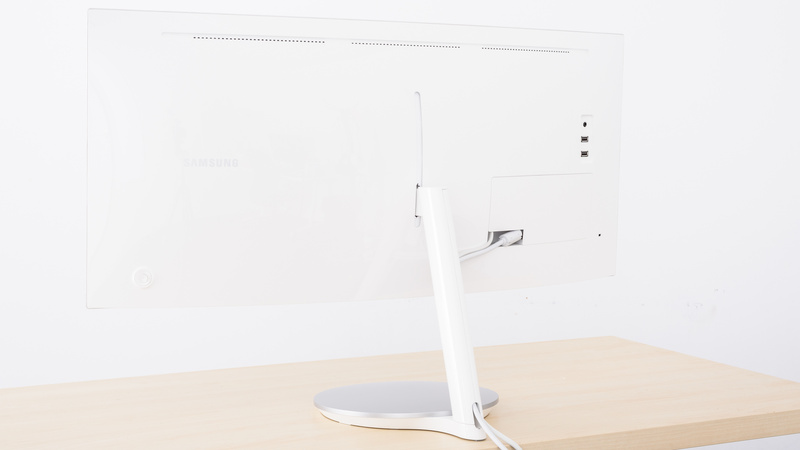 Compared to its predecessor, this monitor supports Thunderbolt through its USB-C connections. Both of them can be used to display video but only the one with the 85W sign can be used to charge a laptop. If the laptop supports Thunderbolt 3 then you can use its USB-C port to send video to the monitor. The monitor has two internal speakers and is equipped with several additional features. 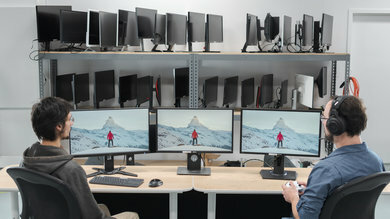 PBP (Picture Besides Picture): In this mode the monitor can display side by side two images from different sources. 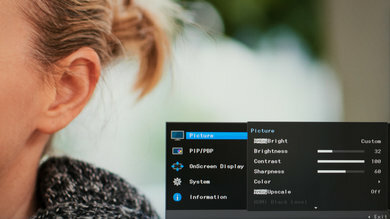 PIP (Picture in Picture): In this mode the monitor can overlay on the original picture a picture from a secondary source. Samsung MagicUpscale: Is the monitor's function to enhance the details and vividness of lower resolution content. 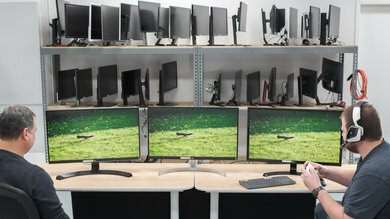 Eco Saving Plus: Is the monitor's function to save power. 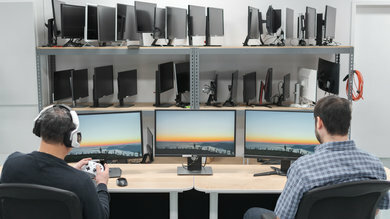 Game Mode: This setting changes the picture settings like gamma, sharpeness etc., making them more suitable for gaming. The controls are the same as the CF791. The Samsung CJ791 we bought is the 34" model (Samsung LC34J791WTNXZA). If someone comes across a different type of panel or if their CJ791 doesn't correspond to our review, let us know and we will update the review. Note that some tests such as the gray uniformity may vary between individual units. Note: The CJ791 we purchased was manufactured in August 2018. Left: Samsung CF791. 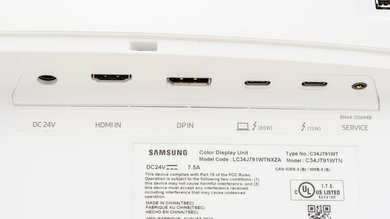 Middle: Samsung CJ791. 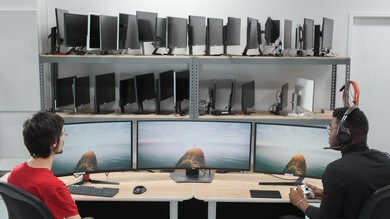 Right: Asus PG348Q. 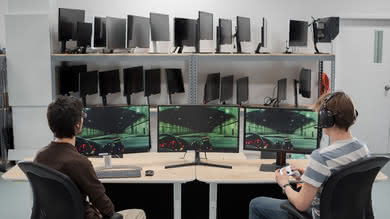 The Samsung C34J791 is a large screen ultrawide monitor that is great for gaming. See our recommendations for the best ultrawide monitors, the best gaming monitors, and the best FreeSync monitors. The Acer Z35P is better than the Samsung CJ791. The Acer Z35P has better ergonomics than the Samsung and allows you to place in a comfortable position with ease. Also, the image remains accurate at slightly wider horizontal and vertical viewing angles on the Acer, although they are still disappointing. 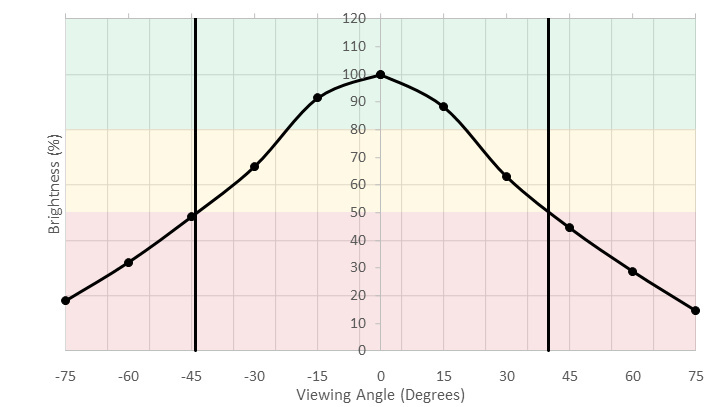 The ASUS ROG PG348Q is better than the Samsung CJ791 if you care about good viewing angles. The ASUS ROG PG348Q has an IPS panel whereas the Samsung has a VA one. 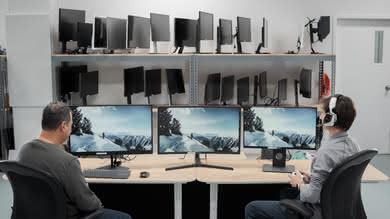 The ASUS also has a faster response time with a smaller blur trail and better ergonomics to position it comfortably. The Samsung CJ791, on the other hand, has a lower input lag which makes it very responsive to your actions. The Samsung C34J791 is a decent monitor for mixed usage. It has a large ultrawide screen with ample resolution that favors multitasking but unfortunately, it has poor viewing angles. It is very responsive to your actions but you should avoid placing it in a very bright room as it cannot fight bright room glare. 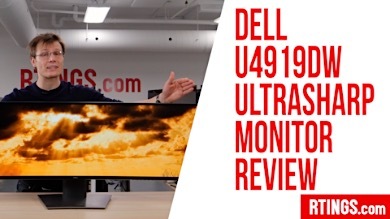 This is a monitor with decent performance for office use. Its large screen size and great resolution will allow you to do more at the same time, but unfortunately, the poor viewing angles and bad ergonomics will not make it easy to share your work with your coworkers. 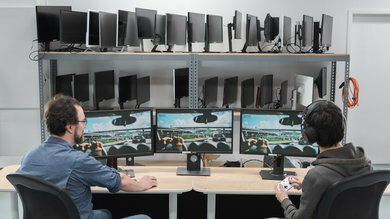 The CJ791 is a very good gaming monitor. Its low input lag and excellent resolution and size offer an immersive gaming experience. It supports FreeSync so you can strain your graphics card without worrying about tearing. 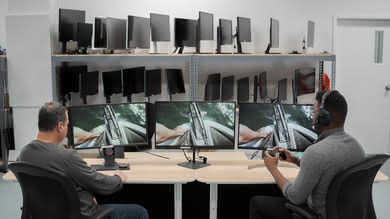 The fast response time ensures a crisp image with little motion blur in fast action games. This is a decent monitor for multimedia. 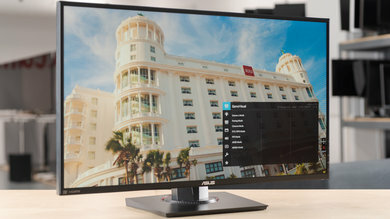 The large screen size and excellent resolution enable the monitor to display much of the multimedia content at its native resolution. However, the best picture quality is reserved for those seating directly in front since the viewing angles are bad. 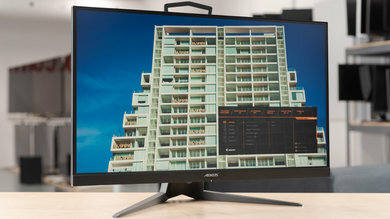 The Samsung C34J791 is a decent monitor for media creation. 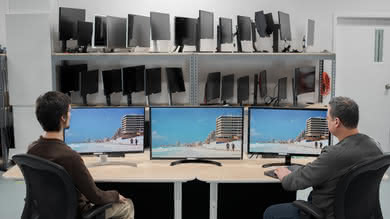 The large size and excellent resolution are ideal if you open many windows at the same time, but the bad viewing angles and poor ergonomics will trouble you especially if you wish to work side by side with a colleague. 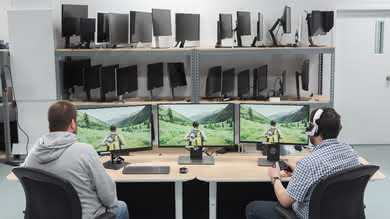 However, if you work alone you will appreciate the monitor's responsiveness due to the low input lag and the crisp image thanks to the fast response time. 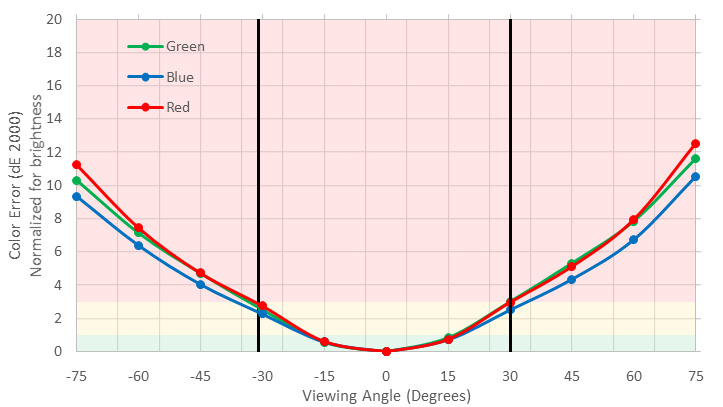 Unfortunately, the Samsung CJ791 does not support HDR like the Samsung CHG70.